The Southern Maine Workers’ Center is committed to creating opportunities for our members ongoing leadership development, and to deepening our collective political analysis. We believe in the power of connecting individual experiences to larger systems of power and oppression, and we utilize the human rights framework to guide our analysis. We know that a shared and nuanced understanding of the systems that oppress us results in better strategies and movements of resistance. We also know that everyone has something to learn and something to teach; we ask that all members be active learners and take on leadership roles to share what they already know with others. 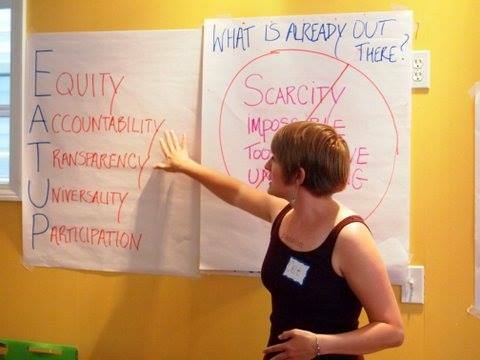 SMWC has participated in both formalized learning opportunities–such as The Catalyst Projects day-long anti-racist organizer training–as well as coordinated member-led discussions, trainings, and workshops focused on issues ranging from media-making to survey collection to how US militarism intersects with our struggle for the human right to healthcare. At our 2015 Annual Meeting, SMWC set a year-long goal of developing an organization-wide Political Education Committee. This committee meets regularly to identify educational priorities for our membership’s political development, and to coordinate opportunities to engage members and the broader public. If you are interested in becoming part of the political education committee, please contact us.